Saint Angela Merici, Virgin - My Catholic Life! Although not common, some older images and statues of St. Francis of Assisi show him balancing three orbs on his shoulders. They appear to be globes, heavenly realms, or the earth, the moon, and the sun. But the three orbs represent the three orders in the Franciscan family: the first order for men, the second order for women, and the third order for the laity who desired to live by the Franciscan rule. Today’s saint, Angela Merici, was a third order Franciscan, a lay woman who followed a strict rule of Franciscan life outside of a convent. Angela’s holiness, mystical experiences, and leadership skills ultimately led her beyond her Franciscan commitment to found her own community of “virgins in the world” dedicated to the education of vulnerable girls, or, in common parlance, at risk youths. She placed the community under the patronage of St. Ursula. The community, after Angela’s death, was formally recognized as the Ursulines, and gained such renown for their schools that they came to be known as the female Jesuits. 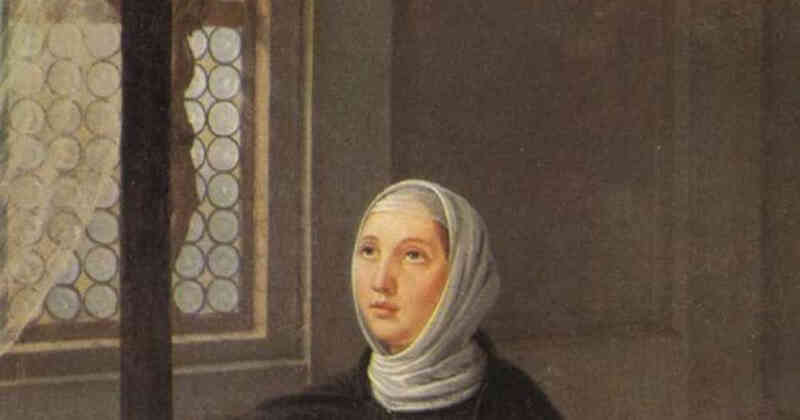 St. Angela saw the risk that uneducated girls in her own region of northern Italy would end up being abused sexually or financially and sought to counter this possibility through education. She gathered a like minded group of virgins around her into a “company,” a military word also used by St. Ignatius in founding his “Company of Jesus” around the same time. Saint Angela organized her city into districts which reported to a “colonel” who oversaw the education and general welfare of the poor girls under their care. 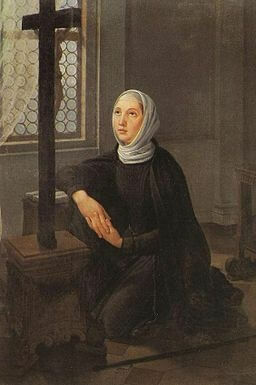 Saint Angela’s cooperators did not understand their dedicated virginity as a failure to find a husband or a rejection of religious life in a convent. They emulated the early Christian orders of virgins as spouses of Christ who served the children of their Beloved in the world. Living in the first part of the 16th century, St. Angela was far ahead of her time. Teaching orders of nuns became normative in the Church throughout the centuries, staffing Catholic schools throughout the world. But nuns did not always do this. It had to start with someone, and that someone was today’s saint. Bonds of faith, love of God, and a common purpose knitted her followers together into a religious family that served the spiritual and physical welfare of those who no one else cared about. Women make homes. Men just live in them. Saint Angela sought to change society one woman at a time by infusing every home with Christian virtue emanating from the heart of the woman who ran it. She trained future wives, mothers, and educators in their youth, when they were still able to be formed. St. Angela Merici, infuse in our hearts that same love for which you left worldly joys to seek out the vulnerable and the forgotten. Help us to educate the ignorant and to share with the less fortunate, not only for their spiritual and material benefit but for our everlasting salvation.